Managing major recovery challenges.Quick action, expertise, and specialized equipment are important factors in successful property restoration following a major storm. Luckily, regardless of the extent of the disaster from thunderstorms, tornadoes, blizzards or heavy winds and rain, Illinois Water & Fire Restoration has the experts to restore your damaged property quickly and with minimal disruptions. Once the initial debris is cleared we will carefully restore your property back to normal. We work with all major insurance carriers and prepare detailed written scopes and estimates to help expedite your claim and restore your life to normal. Get your home and your lives back to normal quickly following a natural disaster. Contact Illinois Water & Fire Restoration for complete disaster restoration services, including wind damage restoration, water damage restoration and more. 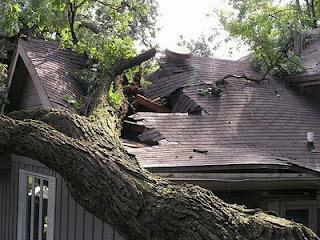 We provide fast, written estimates for storm damage repair in Joliet, Plainfield, Naperville, Bolingbrook, Romeoville, Mokena, Homer Glen, Frankfort, Shorewood, New Lenox, Aurora. Our specialists can be reached by phone at (630) 537-0276 or get an online quote to learn more about how we can help! We can have crews on-site in one hour, and we are ready any time of the day or night for everything from boarding up window openings to major repairs.